There is nothing new about the construction of tall statues. 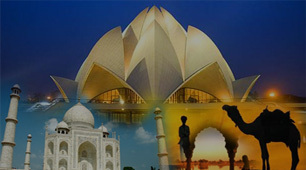 Taller statues are being constructed since the ancient times and making a significant space in the tourism industry of their respective countries. Most of these taller statues across the world are of great personalities or related to some important events of the history. 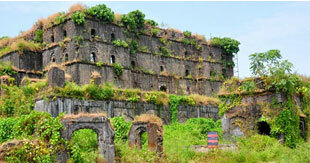 These structures have the kind of heights to make them the key attractions of the cities. Many people had information that Statue of Liberty is the tallest statues in the world but it doesn’t make out in the top 10 list even. 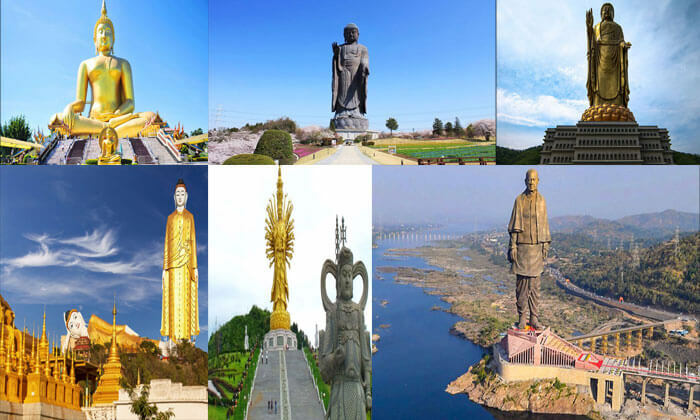 So, explore 10 of the tallest statues in the world through this article. Portraying Indian statesman and independence activist Sardar Vallabhbhai Patel, Statue of Unity is the tallest statue of the world at present. 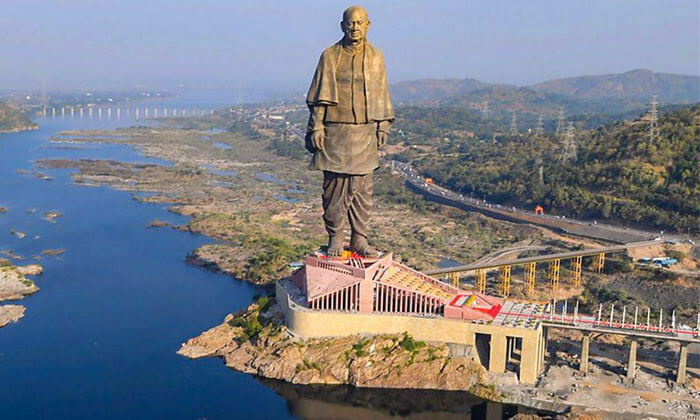 Situated on a river island opposite to the Sardar Sarovar Dam in Kevadiya colony, the statue was inaugurated by Prime Minister of India Narendra Modi on 31st October 2018 - the 143rd birth anniversary of Mr. Patel. 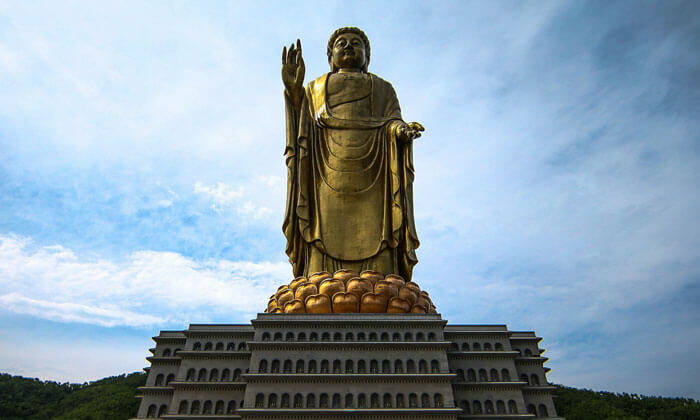 Second tallest statue in the world, Spring Temple Buddha is a grand statue representing Vairocana Buddha. It is created amidst a lotus shape throne. Situated within the Fodushan Scenic Area, construction of this statue started in year 1997 and continued till 2008. The statue is built on a hill that has been reshaped to form two further pedestals. The estimated cost of the entire project was $55 million and around $18 million was solely spent on the statue. Standing on a 13.5-meters throne, Laykyun Sekka is among the tallest statues of the world. 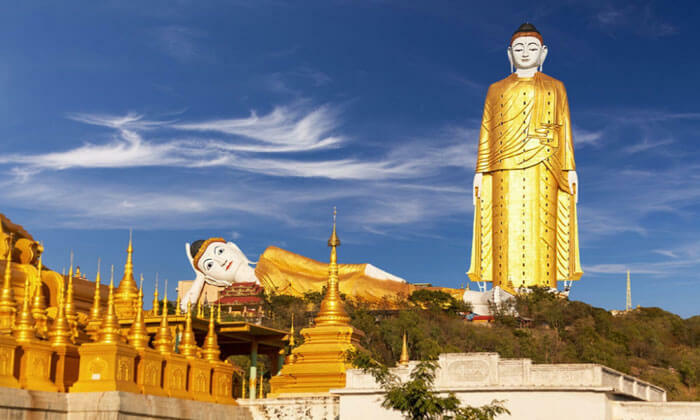 It is a grand structure of Gautama Budhha in golden color. Construction of this statue started in 1996 and continued for 12 years. The statue was officially available for public visit in February 2008. Every element of this entire monument is detailed properly. 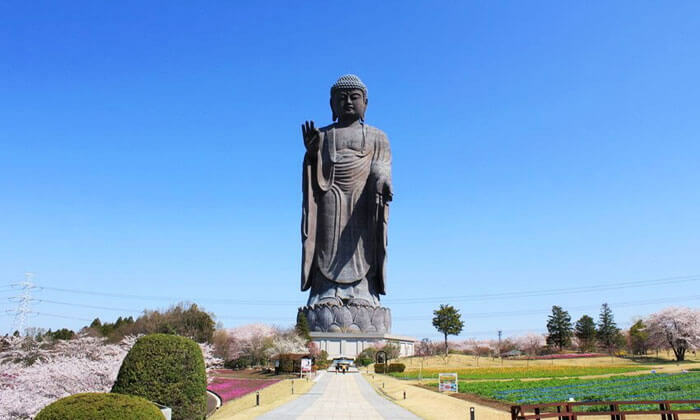 Ushiku Daibutsu is also among the tallest statues of the world that was constructed in 1993. This statue of Lord Buddha is positioned on a lotus platform. 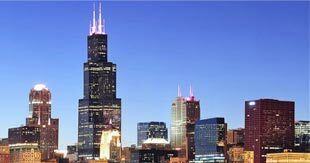 As of 2018, it is among the top five tallest statues in the world. The statue portrays Amitabha Buddha and is constructed of bronze. It was built to celebrate the birth of Shinran, founder of the "True Pure Land School" of Buddhism. Sendai Daikannon is a large statue of the gem-bearing Nyoirin Kannon form of Kannon situated in Sendai, Japan. 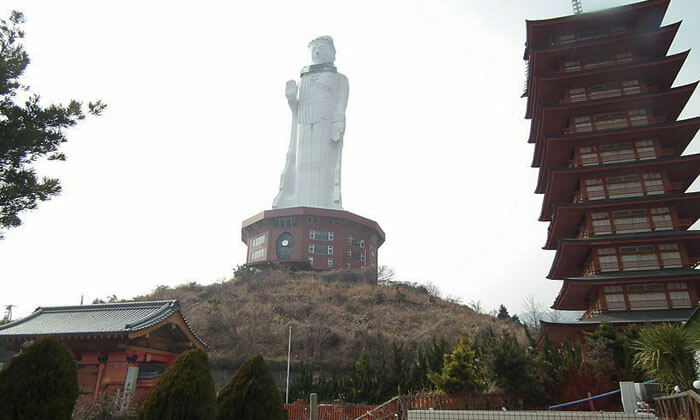 This is the tallest statue of a goddess in Japan and one among the top five tallest statues in the world. There is an elevator to take the visitors at the top of the statue depicting the Bodhisattva Kannon from Shingon Buddhism. The construction of this statue was completed in 1991. It is the 4th tallest statue in China while 6th tallest on earth. This gilded bronze idol depicts a bodhisattva embodying the compassion of all Buddhas. An investment of 260 million Yuan was done by the Ningshan County Government, with the help of local business and religious organizations to complete the construction of this statue in 2009. 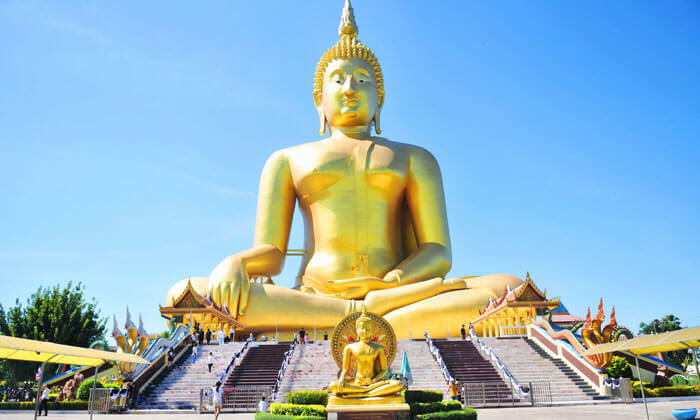 Also known as The Big Buddha, Great Buddha of Thailand is the tallest statue in Thailand, the second-tallest statue in Southeast Asia, and the seventh-tallest in the world. The statue was constructed on the order of Phra Kru Vibul Arjarakhun, the first monk head of Wat Muang Temple. Money was donated by the realistic Buddhists to build this statue. 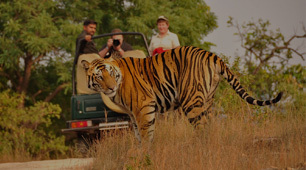 One can see this statue from very far, which has got the place ample fame. 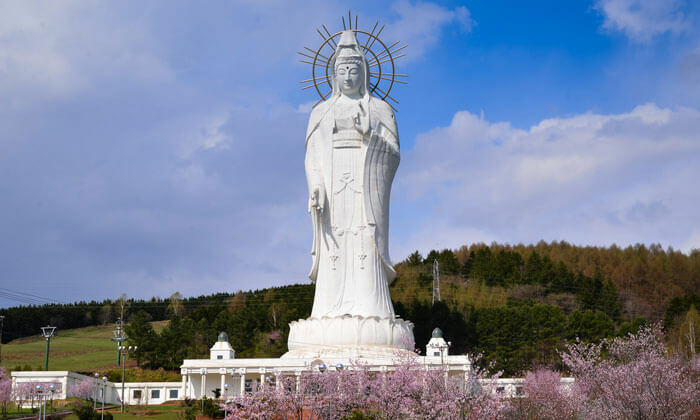 Hokkaido Kannon is also among the 10 of the world’s tallest statues that is also known as Dai Kannon of Kita no Miyako park. It is the third tallest statue in Japan. 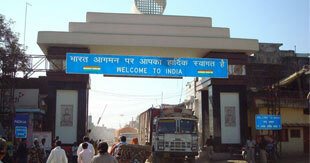 Construction of this statue was started in 1975 and completed till 1989. The statue has more than 20 floors with an elevator. 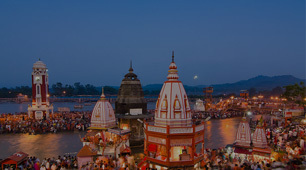 Most of the floors have shrines and places to worship and a platform offering spectacular views of the surroundings. 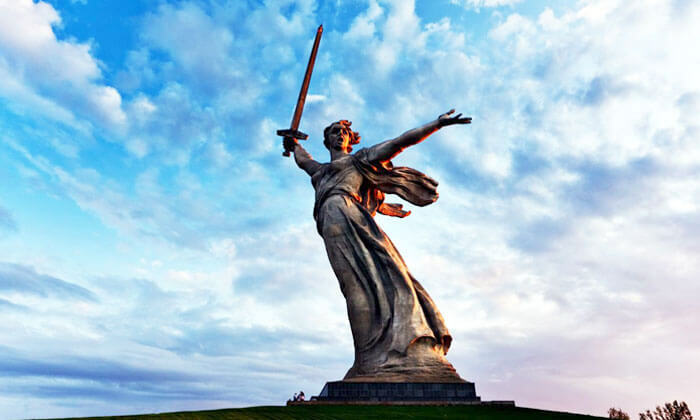 The Motherland Calls is the tallest statue of a woman in entire world and one of the world’s 10 highest statues. It is an allegorical image of the Motherland calling its kids to resist the enemy and carry on their further attack. The statue is extremely complex from engineering point of view, owing to its unique structure that has a sword raised high in the right hand while left hand is extended to call someone. 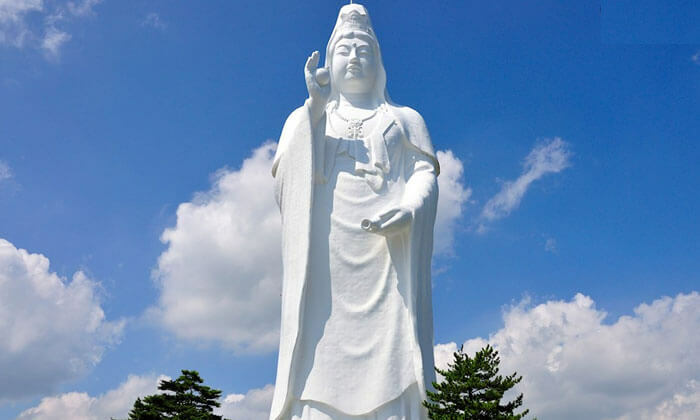 Also known as World Peace Giant Kannon, Awaji Kannon is giant statue located at an abandoned building that consists of a museum and a temple in Awaji Island. The statue is positioned on a 5 story pedestal building that is 66 feet tall. 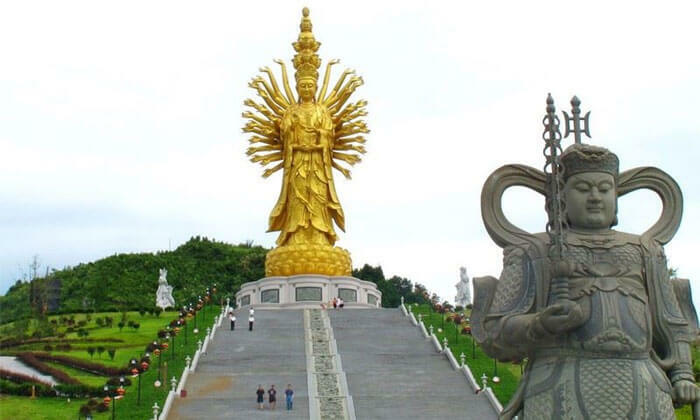 The statue portrays Kannon, an eminent Buddhist goddess known as Guanyin in Chinese. Its white outline is visible from the every location of the island. 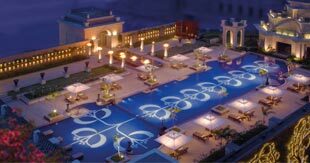 Best Business Hotels in India!